In my final months in Rio de Janeiro, I was living in the neighborhood of Tijuca which is in the North Zone of the city and basically behind downtown and Santa Teresa. 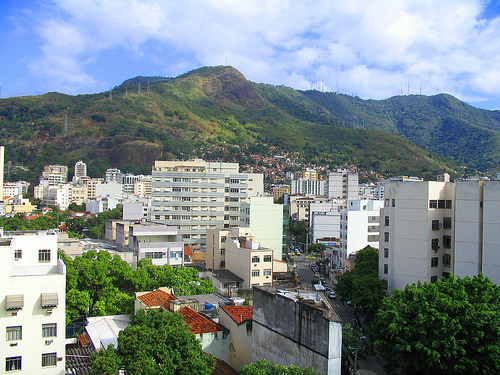 Tijuca is like the Ipanema of the North Zone, which is not to say it’s an area for rich, white people, but it is considered to be the best place to live when comparing it to other bairros of the Zona Norte. After years in Rio, split between trips, I was astonished to find a place like Tijuca, having never been there before (not even when passing through). The streets are lined with big, strong trees. It looks well-kept, it’s very walkable, there’s plenty of commerce and transportation options (3 metro stops, many bus lines), there’s a great university nearby, Maracanã, and the Tijuca Forest, as well. In fact, I didn’t know if I should tell anyone once I found out about the place, for fear of giving away some sort of secret. But if I were to live in Rio again, Tijuca would definitely be one of my top choices.